Brough Carpets supplies and professionally installs vinyl tile or sheet flooring at our area’s best prices! 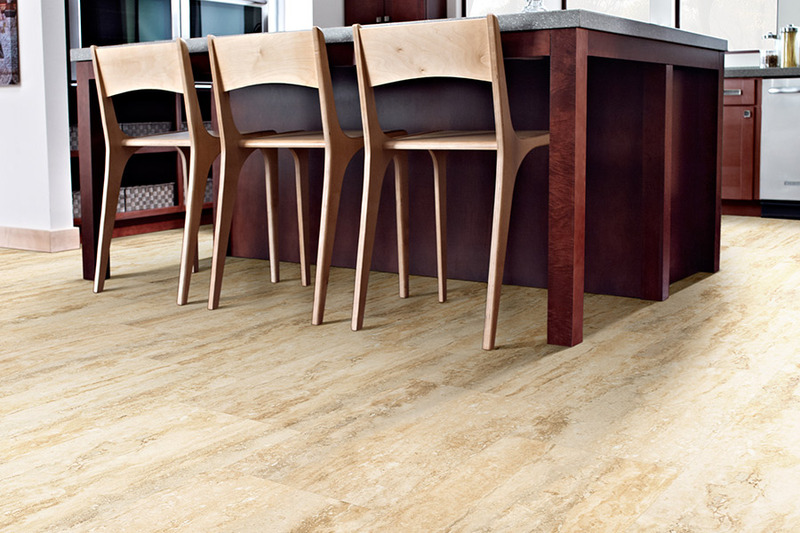 Vinyl flooring comes as tile, or in sheet form. It is one of the least expensive types of new flooring, and it is popular amongst homeowners, because it offers considerable value for less money than many other flooring materials. Brough Carpets offers vinyl flooring in a diverse spectrum of colors, designs and styles. 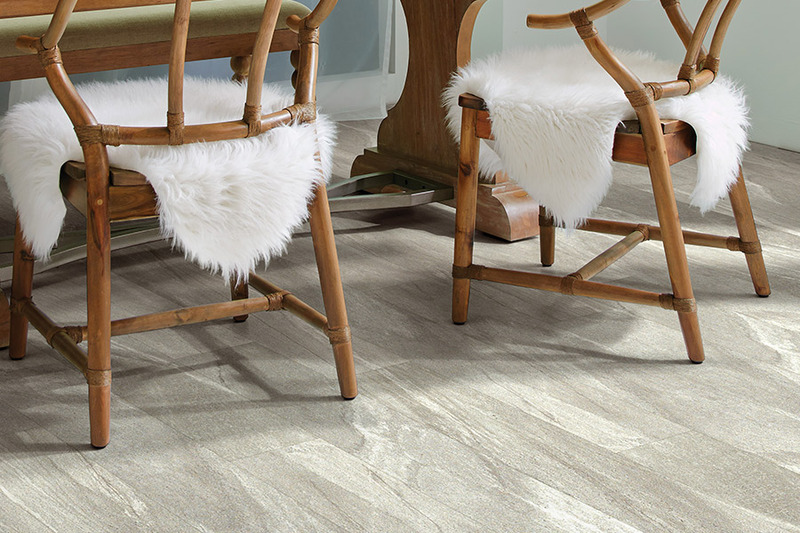 Vinyl tiles are easy to cut and install even for the average do-it-yourselfer, particularly when the tiles are purchased with a self-adhesive backing. Sheet vinyl, however, can be very difficult for inexperienced homeowners to install. Therefore, it should be installed by an experienced professional for the best looking and most durable result. Vinyl flooring gives you a somewhat softer surface than materials such as ceramic tile or wood, because it is backed with a thin layer of foam or felt. This soft layer gives the floor a little more flexibility (resilience), which makes it easier to stand on for long time periods. 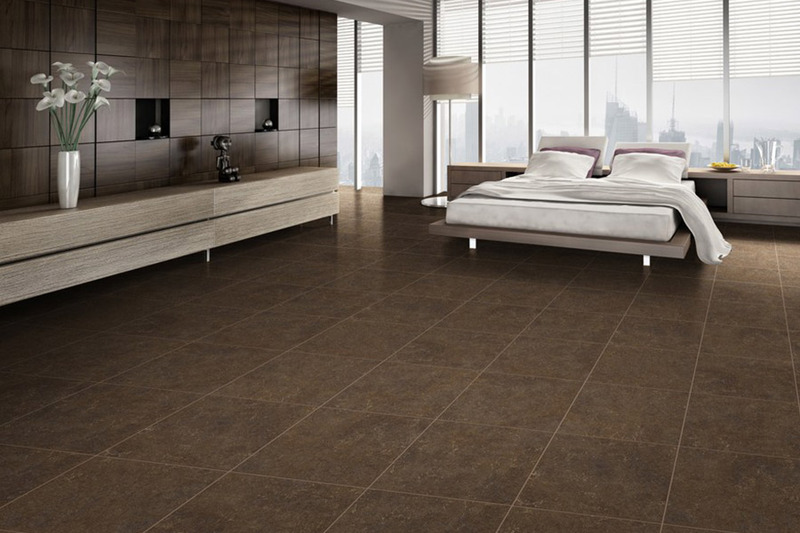 Vinyl tiles are available in an extremely wide assortment of colors and styles. Some designs even exactly replicate the ‘look’ of natural stone tiles or wooden planks. 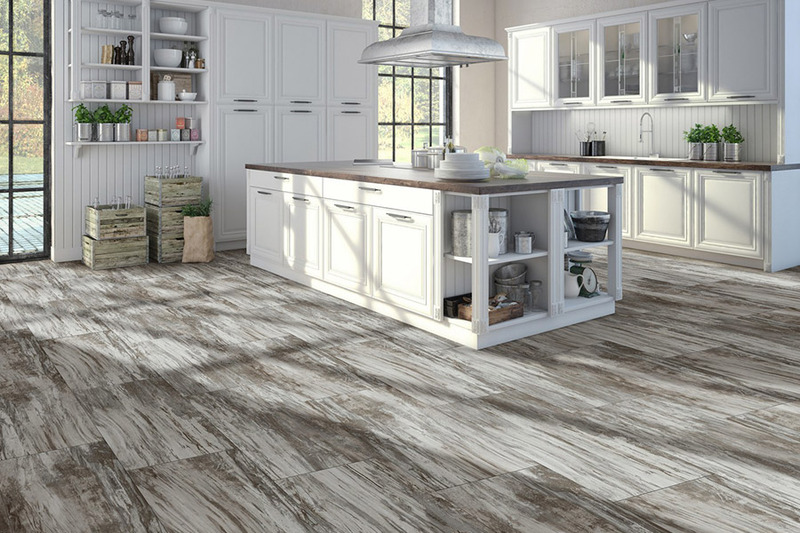 While you can detect the difference up close, it can be hard to tell the difference between vinyl tile and the natural materials from afar. Vinyl is also highly wear resistant. It is also extremely durable, with many manufacturers offering product warranties of 15 years or longer. In fact, a well-installed and properly cared for vinyl floor can last for 20 years or even longer. 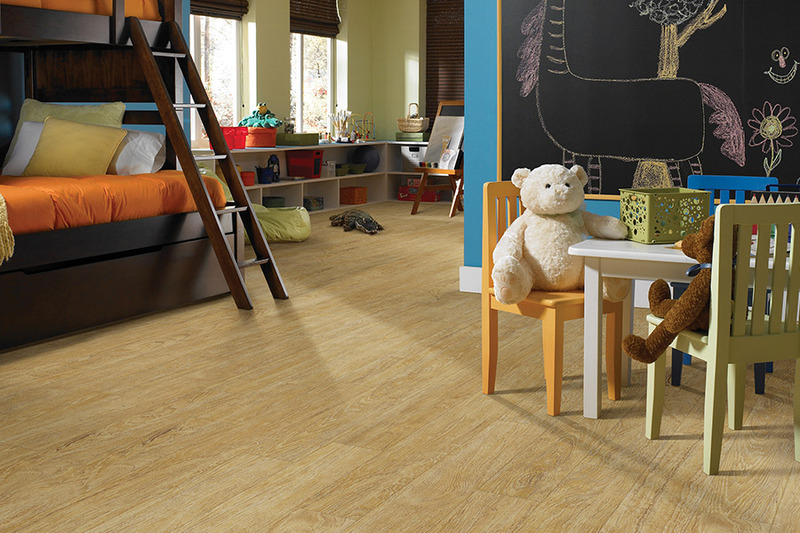 Vinyl flooring is exceptionally resistant to dirt and water. As a result, it’s one of very few flooring types that may be installed directly over the sub-floor or even on top of a previous vinyl or linoleum installation without requiring removal of the old installation first. It is also one of the best choices for installing on a floor that has many cracks or moves excessively. Vinyl flooring is hard to beat when it comes to ease of cleaning and maintenance. Vinyl actually needs little or no maintenance after installation. Moreover, vinyl merely needs to be swept and damp-mopped now and then to keep the floor clean. Brough Carpets supplies and installs flooring materials for homeowners in Flint, Lapeer, Columbiaville, Davison, North Branch, Imlay City, Attica and other nearby Michigan communities. 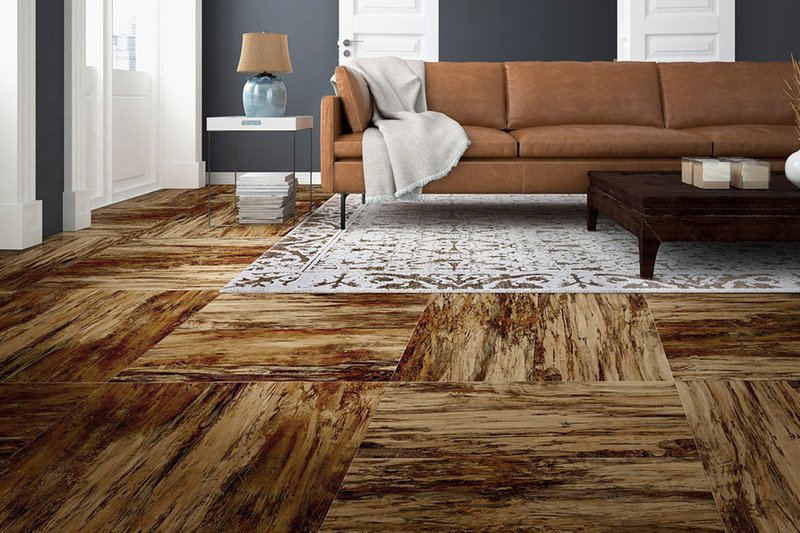 Drop by or call one of our showrooms in Lapeer or Flint, MI to discuss your interest in affordable vinyl flooring materials with one of our experienced remodeling consultants.